Since 2007, Yester Primary has initiated a large number of International Education projects via the eTwinning platform. Have a read below to see the range of small and large scale projects we have either led or taken part in, how International Education is an integral part of Curriculum for Excellence, and how it can help our pupils develop a range of skills from across the curriculum, helping them to become outward looking citizens as they grow. In addition, hopefully you will see that many of the projects are great fun, as the children themselves will always tell you when asked about them. The Schoolovision project celebrated its 10th anniversary in 2018, having been created back in late 2008 by Mr Purves as a way of linking his then P5 class with classes across Europe. At the time, there was no way of knowing whether the project itself was actually feasible – it was really just a dream – but it proved to be highly successful and has since grown to be the biggest, longest and most well known eTwinning project across the whole of Europe. It has won a multitude of international awards, and some of the teachers involved, from countries such as Germany, Poland, Russia, Belgium and Spain took pupils to a special few days camp in May 2018 held in Poland to mark the project’s 10 years. At the 2018 eTwinning UK National Conference in June, run by the British Council over a weekend in Coventry, Schoolovision was featured specially in the welcoming presentation to the more than 150 participating teachers. The video shows briefly what eTwinning involves, then features a short history of the Schoolovision project itself. Our P4 class worked hard before Christmas to design and build their very own class chain reaction. This was entered once again to the Europe-wide science based competition initiated way back in 2011 by our Belgian link class teacher Dave Schrauwen and Mr Purves who created the idea jointly for this multi-award winning project. This year 21 countries took part, with each class of primary children all tasked with creating their own work. You can view the entries, including P4’s entry which is on the project blog here. Result: Scotland finished in 11th place out of 21 countries in 2018! 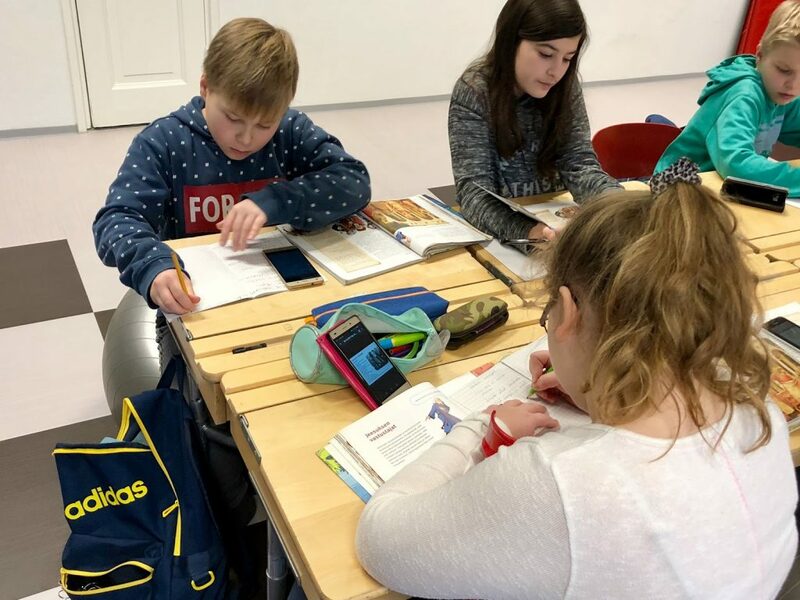 For the 2nd year running, P4 linked with classes in Belgium, Germany and France for a very short, but rich collaboration involving Dave Schrauwen’s class in Belgium, and the German Schoolovision partner Steffen Toppler’s class as well as a class from central France. All four sets of pupils learned a little about the fact that 103 years ago at Christmas in WW1, soldiers from all sides laid down their weapons and sang Silent Night to each other in the trenches. 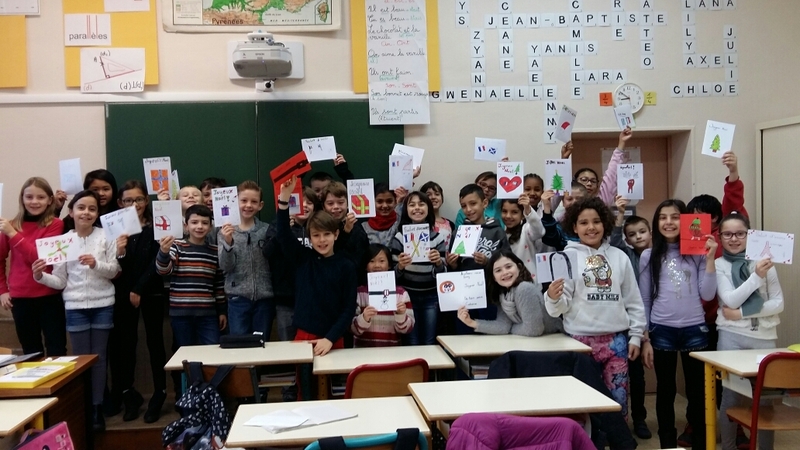 As part of this, P4, along with the classes from Belgium and France sang Silent Night, as well as some Christmas songs to each other via webcam, in order to promote peace across the world. Unfortunately, due to technical IT difficulties, our German partners were unable to join the web conference. Our long-standing link with Kuvansi Primary in eastern Finland, started way back in 2007, continues this year, with both P4 and P7 sharing an online blog where we have written details of what we are all working on, from time to time. This has allowed our children a glimpse at how a school in Finland differs from our school – in many ways, not least in the fact that so much of the learning and activities in Finland take place outdoors, even in the depth of winter! It’s been interesting to learn about the timetable and the fact that in Finnish primary schools, the children have outdoor breaks, no matter what the weather, after each 45 minute lesson throughout the day! Pupils are allowed to access their own devices in certain lessons for research purposes. Christmas dinner looks very tasty, yet quite different to ours, with children helping themselves buffet style to the delicacies on offer. Pupils in Kuvansi use their own devices to research in some lessons! We sent our friends some Christmas cards – they liked them! 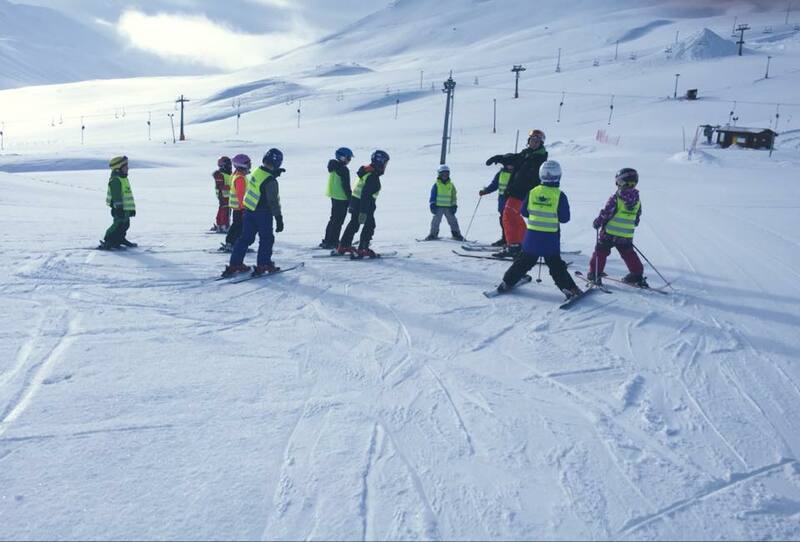 Winter comes early to Finland; this was the pupils at Kuvansi in late October! To view and follow the blog, please load in the Google Chrome browser, as that way, any of the text written in Finnish is automatically translated so we can all understand it! 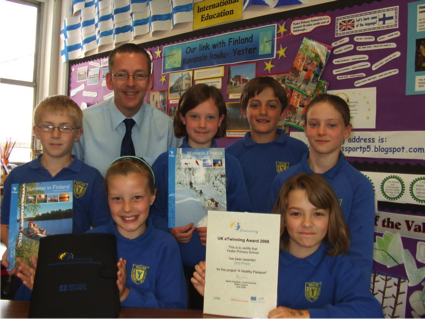 Yester Primary has won a number of national and international awards since 2009 for their eTwinning project “Schoolovision” which is a primary schools’ version of the Eurovision Song Contest, invented and administered from right here in Gifford by Mr Purves, who led the project for its first 6 years. The project is now into its 9th year, making it officially the longest running, and biggest eTwinning project of all time, since eTwinning was launched in 2005. It has also won more awards across Europe than any other eTwinning project – and there have been more than 50,000 eTwinning projects! This year 33 countries took part, and we entered the Fischy Music children’s song “You Are a Star”, the video of which is below: It came 17th out of 33 participating countries! As well as our entry, this fantastic short “round-up” video shows all 33 entries in one go, alphabetically. How do you choose a winner from that lot? We were really delighted with our highest ever placing of 4th out of 23 participating countries in 2017! A very short, but rich collaboration between P4 and Dave Schrauwen’s class in Belgium, and the German Schoolovision partner Steffen Toppler’s class, where all three sets of pupils learned a little about the fact that 102 years ago at Christmas in WW1, soldiers from all sides laid down their weapons and sang Silent Night to each other in the trenches. As part of this, the three classes sang Silent Night, as well as some Christmas songs to each other via webcam, in order to promote peace across the world. You can watch the recording of the webcam conference here. 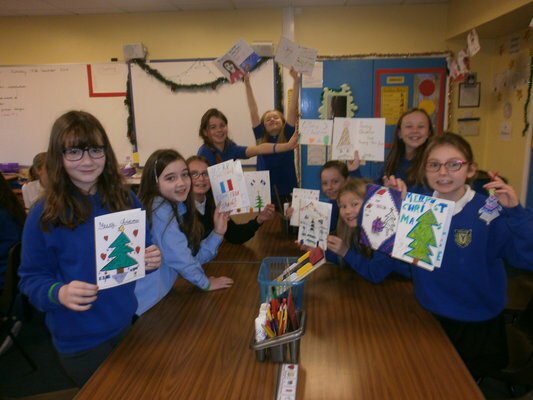 With help from Haddington Twinning Association, we set up an eTwinning link between our P6 class and the primary school in Haddington’s twin town of Aubigny-sur-Nère. There are strong links between the two towns, and it’s great to see there is now a school link established too. As well as learning basic French, the P6s have written introductions, written about the school and the village and shared pictures of our school dinners. We have received the same information back from our friends in France. 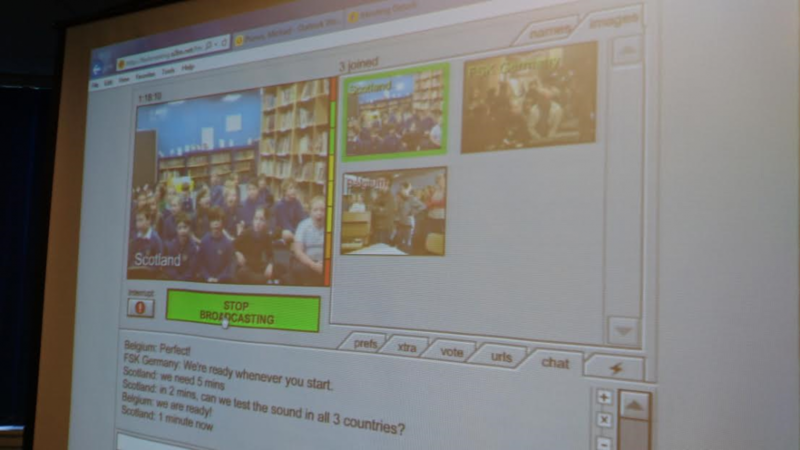 We hope to carry out a webcam conference before the summer, where both sets of pupils will ask questions and receive answers, each class using the other’s language! As we are using the eTwinning website to store the work the two classes are doing, the majority is securely hidden. 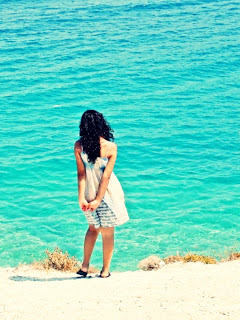 However, some photos are below! 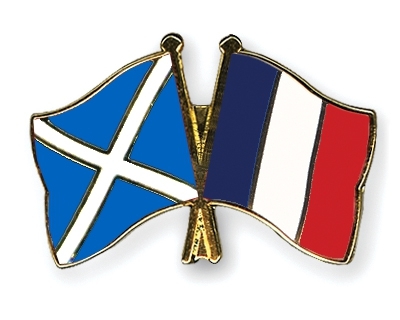 Part of our 1+2 language work involved creating this Scottish -French link! 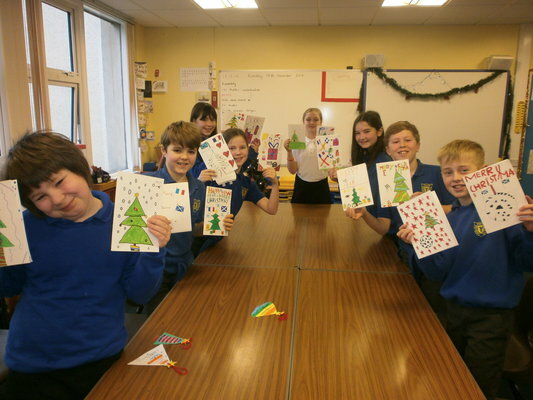 P6 made and sent Christmas cards to our friends in Aubigny! We got cards back from Aubigny! More of the cards we got back from Aubigny! We also featured in an article in the local press in Aubigny! This is worth clicking on and using Google Chrome to translate the page, as it describes exactly what the two classes have done up until Easter 2017. 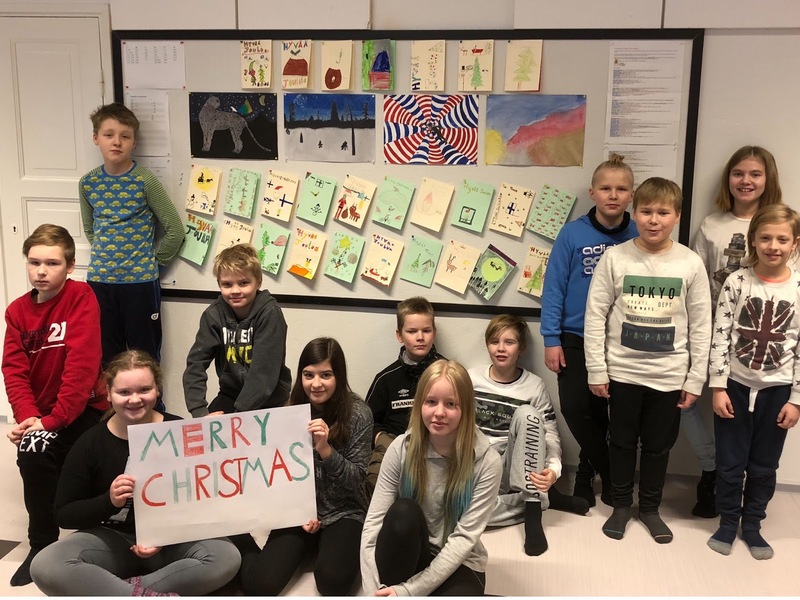 Following a visit to Yester by some Icelandic teachers who were spending a week touring schools in the Edinburgh area, P3-4 set up an eTwinning project between Yester and Thelamork school in the north of Iceland, close to Akureyri. 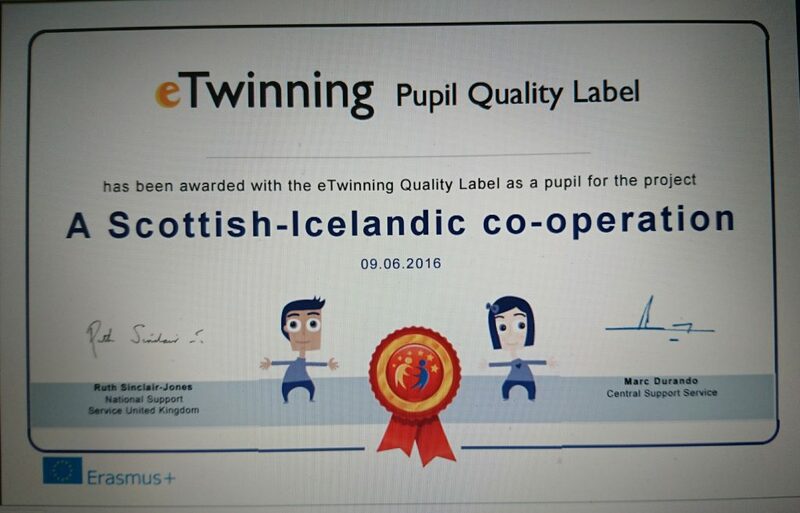 Both classes shared lots of information on the private and secure eTwinning Twinspace, and we enjoyed getting to know what it’s like to go to school in Iceland. The project culminated in a super webcam conference at the end of the school year where we asked each other lots of interesting questions! The project received a special Quality Label award at the annual UK eTwinning Conference in Nottingham in June 2016, and additionally each pupil received a special certificate like this! Asking questions to our Icelandic friends. It’s our turn to answer a question. We were very jealous to see skiing as a P.E. lesson! 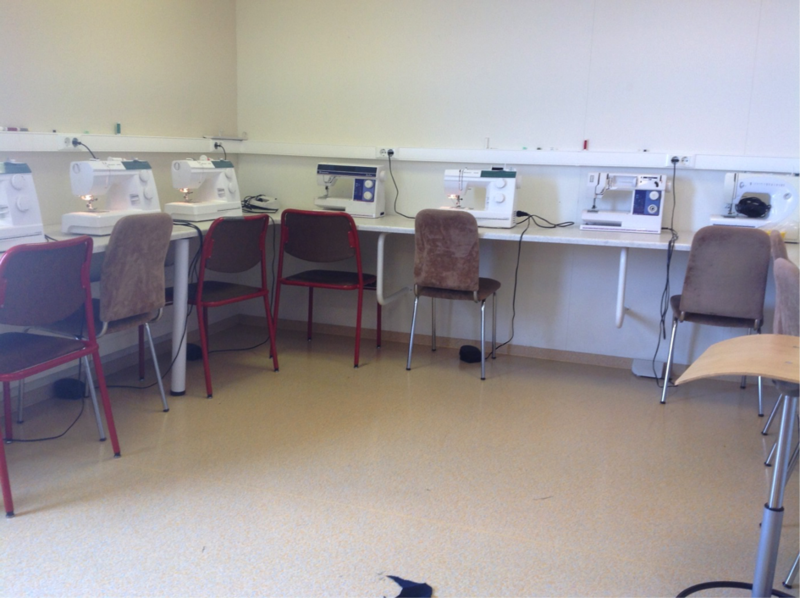 It was very interesting to see sewing taught as a primary school subject! 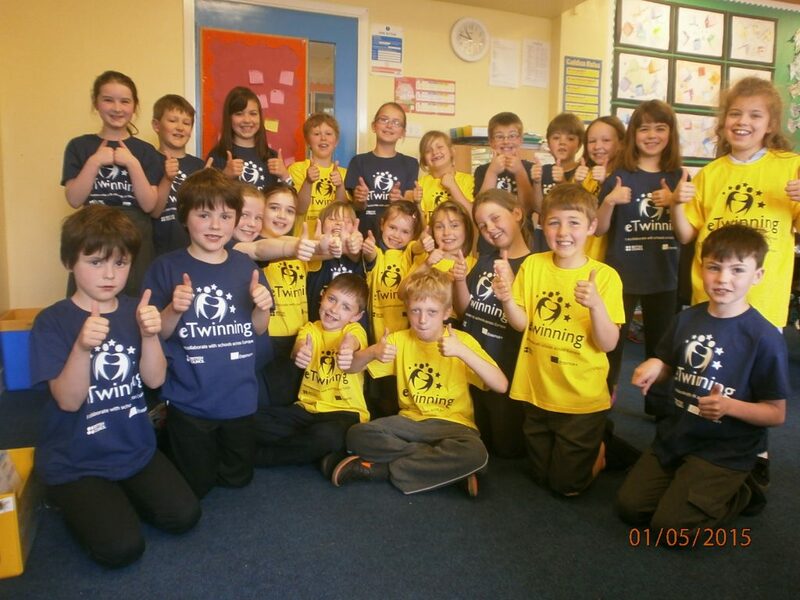 In addition to the ECR project above P3/4 were all sent special 10th anniversary eTwinning t-shirts, to commemorate the 10th anniversary of the start of eTwinning. Don’t they look happy! This was the 6th year of the Europe wide project, with Yester deciding to enter an old Scots song, “Ca’ the Yowes.” For this entry, we decided to go with one of the girls singing the whole song solo, with the rest of the class spending a few weeks learning guitar in music, allowing them to support throughout. Thirty countries entered the competition and the winners were the Czech Republic, for the 3rd time, with a quite brilliant and thoroughly professional video (see below) accompanying their super catchy song. Our entry finished 14th out of the 30 entries! In 2014, our P5 class had great fun filming their introductory human chain reaction, as well as their technical chain reaction. Both are below, with the technical chain reaction finishing in 6th place out of 30 countries. For our 2013 entry, you had to imagine it was the year 1865. Two young boys decided to take a trip to the opera. It was a long show – more than 4 hours – but they enjoedy it, more than some of the audience! But, the star of the show was the “fat lady” who gave a great performance at the end. In addition, Schoolovision and the pupils from Yester were featured on the Eurovision Song Contest’s own website’s homepage in the run up to the climax of the real ESC contest! Winners in 2013 were debutants Israel, who produced this wonderful song about Israel’s only astronaut, Ilan Ramon, who died in one of the Space Shuttle disasters. Also in March 2013, Mr Purves was invited to Lisbon, Portugal, to receive a special certificate and award for Schoolovision’s “Outstanding Contribution to eTwinning Collaboration” over the period 2009 – 2013, marking the project’s 5th anniversary. Mr Purves receives Schoolovision’s special certificate at the eTwinning European Conference, Lisbon, March 2013, accompanied by French partner Katja Auffret and German partner Steffen Toppler. Meanwhile, have a look at the video below, which shows some of the entries in the 1st five years of the project. This was produced especially for the Lisbon conference by German partner Steffen Toppler. Once again, our young scientists worked hard to create a good quality chain reaction for this Europe wide contest. We finished 10th out of 29 countries. Hopes were raised early in the school year when The Proclaimers not only gave permission for us to sing their classic hit “I’m Gonna Be (500 miles)” but they also happily supplied us with the backing track to the song. This was the start of a fun-filled journey that saw the pupils involved travel to the same studio where many of The Proclaimers’ songs were mixed and recorded in Pencaitland to record our track, which was then filmed with the pupils marching around various parts of Gifford itself, including the Co-op, where staff members joined in and the church where the local minister also happily participated in the fun. By the time of the vote, it’s fair to say the pupils themselves were highly expectant, and their hopes were rewarded when the Scottish entry achieved a superb result of 4th place out of 38 countries from right across Europe in 2012. The winning entry in 2012 was a truly beautiful song made by our Norwegian partners, named “Honesty is the Best Policy” viewable below. 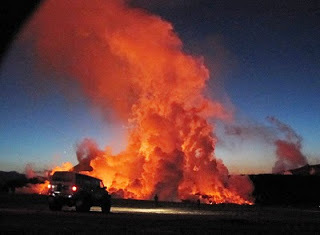 Our entry to this science based competition was, we felt, a good one in 2012. However, it didn’t quite reach the heights we had hoped for, and it was voted into 12th place out of 19 participating countries. 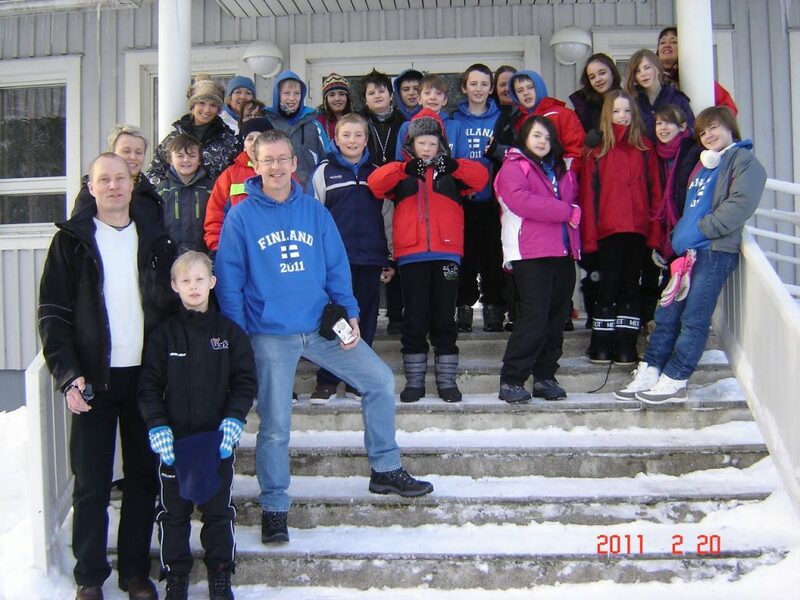 In September 2011, we welcomed back our Finnish friends from Kuvansi school, close to Varkaus. 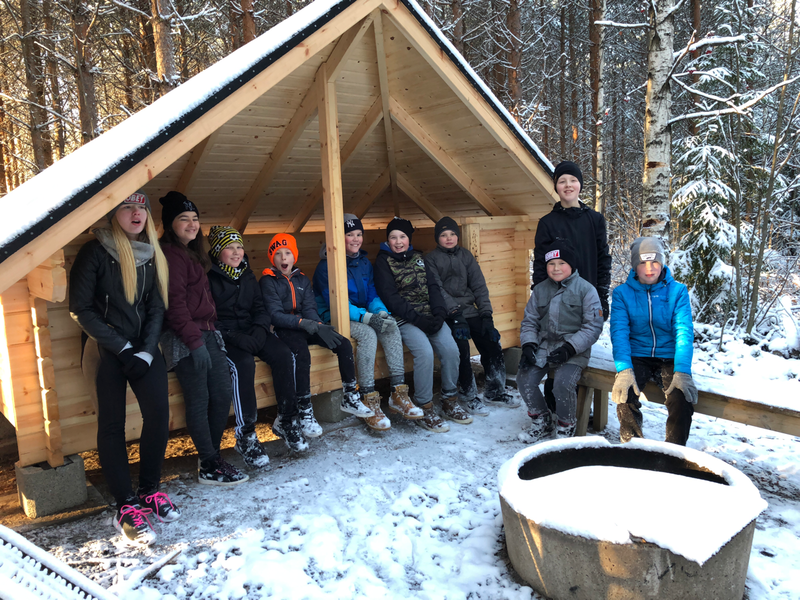 Our P7 class had visited them in February and had enjoyed a memorable few days experiencing Finnish hospitality and various adventures in the deeply frozen north of Europe. So the challenge was clear that we had to ensure our visitors enjoyed their trip to Scotland. They stayed at Innerwick Outdoor Centre and during their few days here they visited Yester, saw all the classes, attended assembly, played indoor hockey and met pupils and teachers. Additionally, they spent a day in Edinburgh, learned how to golf and play bowls and even tried their hand at surfing down at Belhaven! One evening had also seen the Finns visit a ceilidh at Garvald village hall. The week was completed with a meal in The Rocks restaurant in Dunbar with all the children who had been in P7 but who were now in S1. 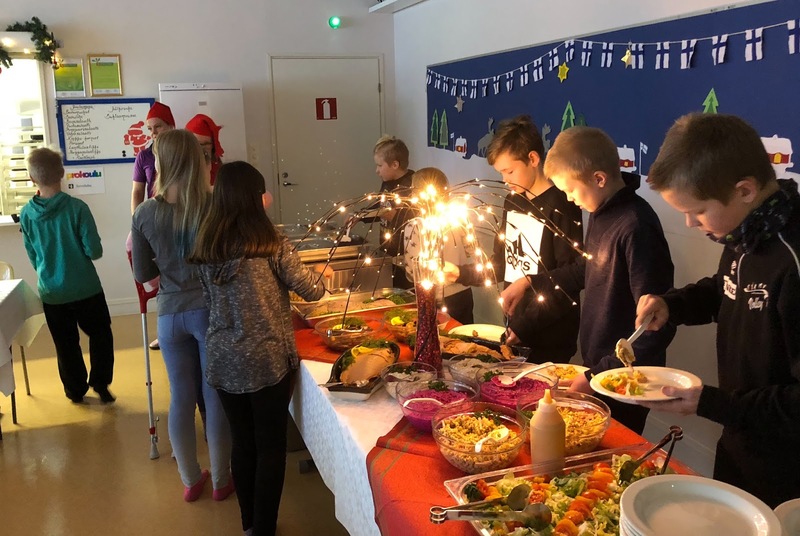 It should be noted that all of these activities, as with the trip to Finland earlier in the year had been achieved with no external funding from the British Council who administer eTwinning. We had fundraised through various methods and we were also very appreciative of some local companies who helped us out. 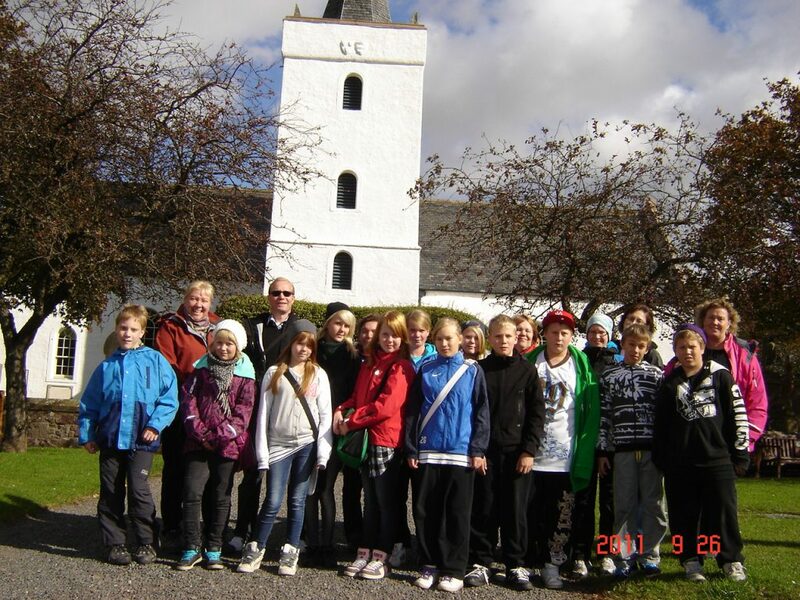 Teacher Jyrki Ikonen from Varkaus reported that his pupils had had a fantastic time here in Scotland and he thanked us very warmly for our hospitality. Our Finnish guests by Yester Church. 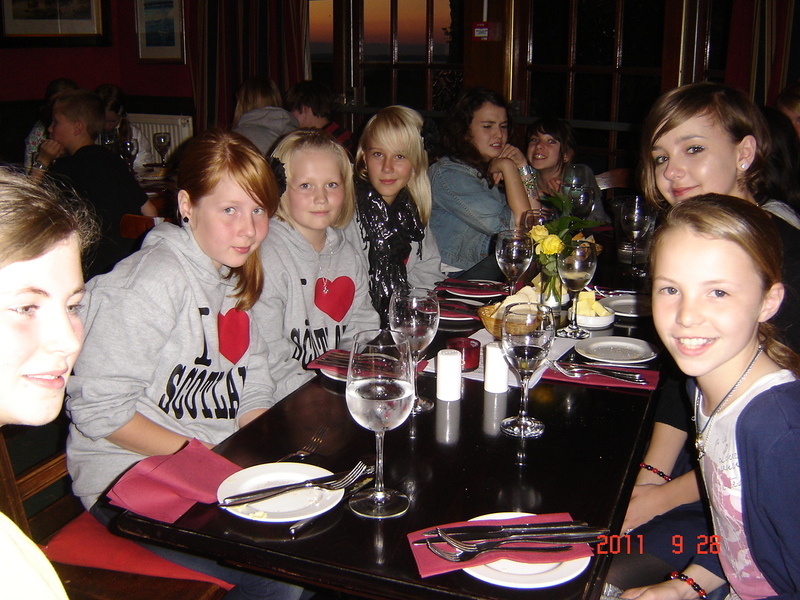 Dinner for Scottish and Finnish penpals at The Rocks in Dunbar. For the 3rd edition of Schoolovision, we sang the old Scots song Killiecrankie which managed 20th= position out of 28 participating countries. The 2011 winners were our friends from Brno in the Czech Republic, who triumphed with their lovely entry Jaro. A total of 46 schools from 33 different countries participated in the second year of this photography competition, snapping photos in four categories once again – People, Places, Nature and Sports. The results on the blog were truly impressive once again! As it had been the year before, the competition was co-ordinated by Mr Purves and the pupils here at Yester. The project is still running in 2017, though Yester and Mr Purves stood down after the 2011 edition. In February 2011, after collaborating together with Kuvansi school in eastern Finland for nearly 5 years, P7 travelled to the nearby town of Varkaus where we stayed in lovely accommodation for a few days, allowing the class to finally meet up with their pen-pals and peers, see the school at Kuvansi, and take part in a range of activities that for the majority of the class were quite alien to them compared to what they were used to here in Scotland! These included ice skating and cross-country skiing in -30C, visiting the northern most and oldest medieval castle in Scandinavia, playing an international game of football on a snow-covered pitch in -25C, causing eyelashes to freeze up, taking a sauna and then rolling in the snow outside, and spending a day on a frozen lake where we sledged and took rides on snowmobiles! In addition, the class spent time in three different schools, confidently gave presentations about Scotland to their Finnish friends and kept diaries of their time away. In order to make this unique exchange happen, the class had been involved in various fundraising activities for months before, including many of them completing a sponsored cycle over the Lammermuir Hills as well as all spending a day bag-packing at a local supermarket. We were also very grateful to several local businesses who gave generously to help fund the cost of the trip. You can read about the trip in detail, see many more photos and also see the return trip made by our Finnish friends to Scotland in September 2011 by clicking on this link. 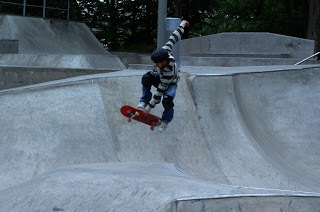 The video and photos below show just how much fun was had by all. 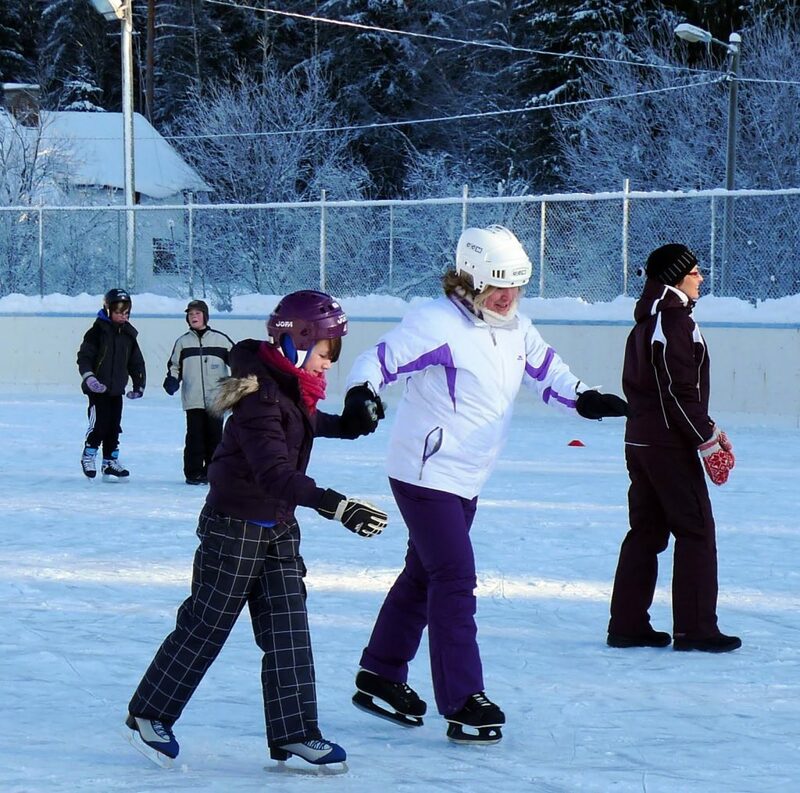 Ice skating at Kuvansi school. 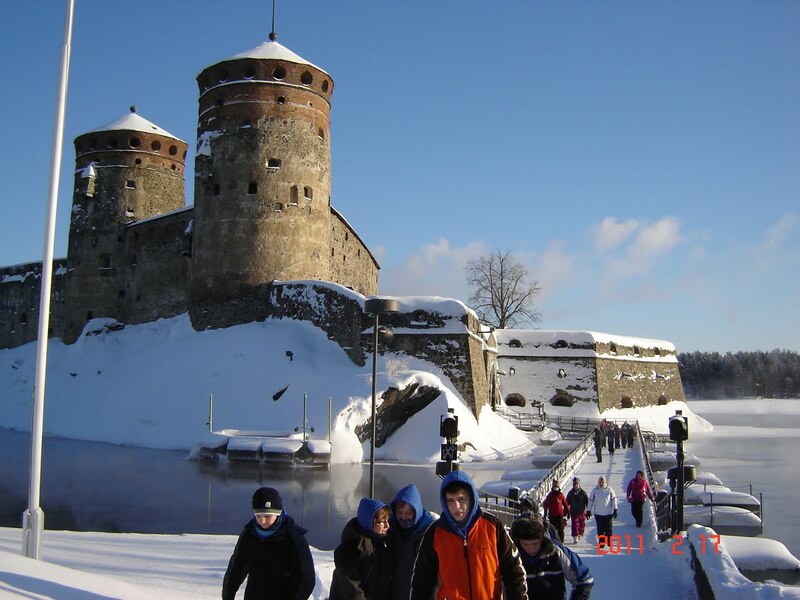 At Olavinlinna Castle in Savonlinna. The snow was around 80cm deep! 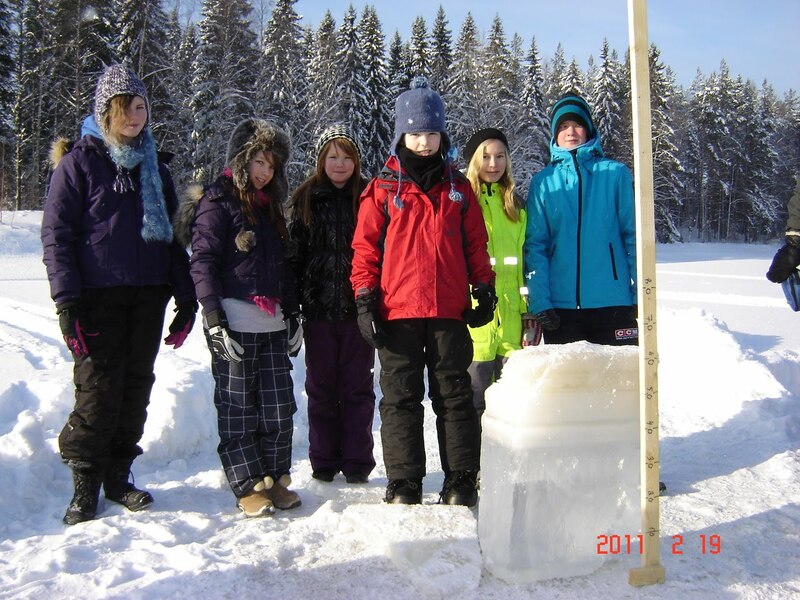 On the frozen lake, we measured the ice to be 67cm thick! The whole class at our accommodation, with Finnish teacher Jyrki, before we left to return home. In addition to our P7 visit to Finland, the class kept in contact throughout the year by webcam conference, both before and after the visit. 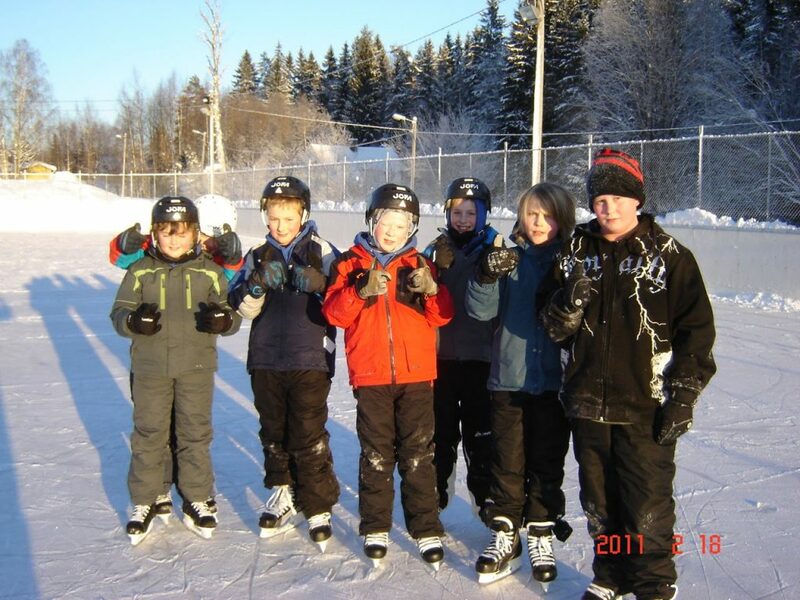 This allowed them to get to know their friends a bit better before we actually arrived in Finland, and afterwards it allowed friendships to develop further still. It’s quite wonderful to look back at these now and to see how well the pupils from both classes interacted. You can watch one of the many recorded webcam conferences here. This meeting was actually observed in our class by an inspector from the Scottish government, who interviewed some of the class afterwards about their work with the school in Finland and their trip there. He also asked them about their work completing the project below, the European Chain Reaction, and told us afterwards that in 4 years looking at International Education work around Scotland, the work done by Yester was among the very best he had seen anywhere! So, well done to the P7s and all the other classes who had participated in other I.E. work! Following on from the creation of the Schoolovision project in early 2009, The European Chain Reaction project was founded in late 2010 after discussion between Mr Purves and Belgian Schoolovision partner Dave Schrauwen. Dave became the leading partner of this science based project with support and advice from Mr Purves, and the project quickly established itself on the annual calendar of many schools across Europe. Initially, the project drew on a number of the partners from Schoolovision, who all keenly turned their attention to science as they created a wide variety of brilliant chain reactions. Writing this in early 2017, the project is still going strong, with partners from more than 20 countries. It’s also worth noting that both Dave, along with the German partner Steffen Toppler still collaborate closely in various projects with Yester even now in 2017! Below is the Scottish entry which finished 5th in the contest. Following the huge success of the project in 2009 and having won a number of international prizes, it was clear we had to try hard to better our entry for the second edition of Schoolovision. Luckily, the school had recently performed the play King Loth, and our music teacher Miss Traill had the great idea of using one of the songs from the show. After having gained permission to do so, we also obtained the services of a local cameraman and we were ready to go, with the children all dressing up in special costumes for the performance video. We were delighted and excited to see the song perform very well in the overall standings, finishing a brilliant 3rd out of 34 countries who took part. At the time of writing in 2017, that remains our best performance ever! This photography based competition came about thanks to an idea Mr Purves had while driving along through the East Lothian countryside one day, as he thought it would be wonderful for pupils to learn about Europe through the eyes of themselves taking photographs in their local environs. With a multitude of partners already harnessed through the Schoolovision project, it was easy to set this project up, with teachers from across Europe keen to try a new idea out with their pupils. There were four categories – People, Places, Nature and Sports and all the photos were uploaded to a special website where they were judged by each participating class. Here, we enlisted the help of a professional photographer who took us round the village, giving tips and instructions to the class about how to take effective photos. The winners are below – and they were highly impressive, bearing in mind the photographers were all primary school children! 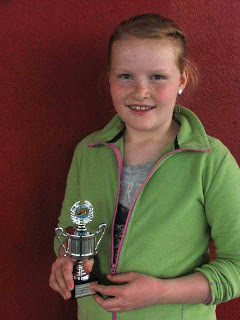 An interesting fact from the project was that the pupil from Sweden who took the winning picture in the sport category later returned to video and edit the Swedish Schoolovision entry four years later! Nature winner – Sweden again! Vous avez bien mangé et bien chanté maintenant! In early 2010, French film-maker and eTwinning Ambassador Pascal Fancea asked Mr Purves if his class would like to participate in a small scale eTwinning project with a class from close to Grenoble in France and a class from Latvia. The aim of the project was for the three classes to create a three course European meal, as well as to learn a song in one of the other two languages. It was arranged that the classes would meet via webcam conference to sing their songs to each other and share their meals. 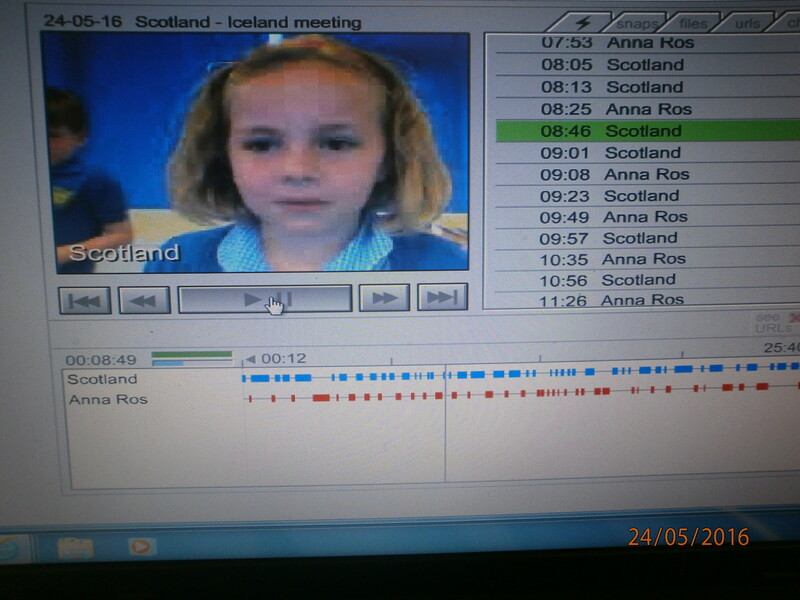 In addition, the project was filmed from start to finish in all three countries and later made into a short film to promote eTwinning across France. The duration of the project was only around 10 days, but it was great fun and the high quality finished films, both full version and shorter 8 minute version are below. In late 2008, when Mr Purves was thinking about how to teach the subject of Europe to his pupils, he came up with the idea of using music to introduce various cultures to his pupils. The eTwinning project Schoolovision was born, and it has gone on since that point to become the biggest, longest lasting and most successful eTwinning project of all time from right across Europe! 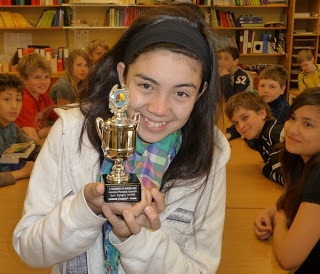 It has won many awards; nationally, internationally and world-wide and it remains the best known project in eTwinning. Back in May 2009, 30 countries took part in this highly innovative project, which is essentially a primary schools’ version of the Eurovision Song Contest, following the timeline of the real ESC and culminating in a hugely popular webcam conference the day before the real Eurovision. TV cameras from BBC and STV covered the voting, as they did in many of the countries right across Europe, and we also had a visit on the day of the voting from Alyn Smith MEP who was interested to learn about the project and speak to the children about their experiences. Yester entered the song Auld Lang Syne into the project, and we came 13th out of 30 countries overall, the winners coming from Brno in the Czech Republic. After the voting was completed, Mr Purves had intended to post the winners’ trophy to Brno, but East Lothian Council decided that the trophy should be delivered in person, so it was a great honour to take it to the winning class and speak with them directly, along with the Mayor of Brno and the Deputy Minister of Education for the Czech Republic, who came specially from Prague to witness the presentation! The project won a number of awards afterwards, which are detailed elsewhere on this page. Happy winners, with the hand-delivered trophy! The winning song, from Brno in the Czech Republic. 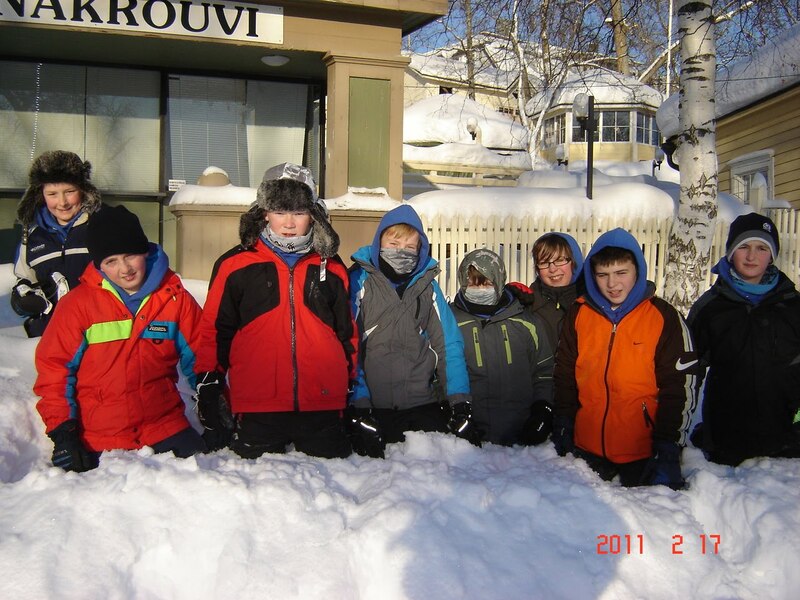 Mr Purves’ class linked with their Finnish friends in Kuvansi, close to Varkaus for a 2nd year, as well as with a school in Denmark. 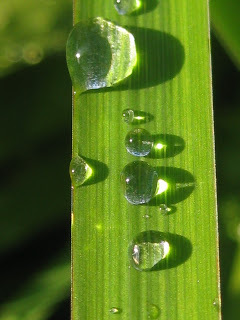 The three-way project blog allowed each class to learn a bit about each other as we went through the year, as well as allowing us to share some of the work we were doing in class. 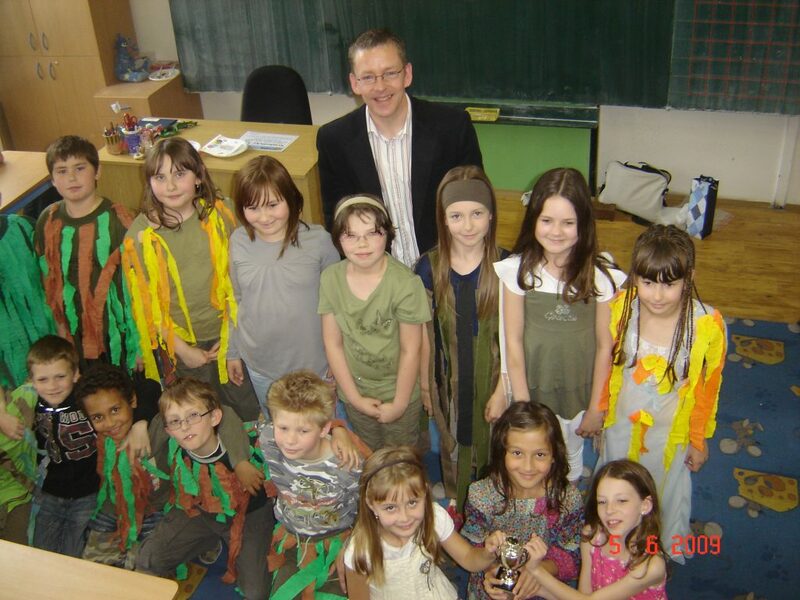 Like many of the other eTwnning projects we have done, the project won a National Quality Label prize from the British Council at the annual eTwinning Awards weekend in Nottingham in June 2009. In addition to this project, Mr Purves set up small scale eTwinning projects for every other class in the school over the course of this year. It’s possible to see the work these classes did with their link classes from across Europe by clicking the links on the left hand side of the Crossroads of Cultures blog. A fun project that used Vokis in ICT lessons to investigate and record the noises made by different animals. A total of 10 schools took part in the project, which only lasted around three weeks, but which taught the children involved a series of new ways to use ICT when creating online characters, recording and editing skills and presenting their work to others. In many ways, this project was the precursor to all of the bigger projects undertaken since such as Schoolovision and the European Chain Reaction as it was the first time we had led and taken part in a project that involved multiple partners. Some of the partners in Animal Talk have been working with Yester ever since and continue to do so even today in 2017! This was Yester and Mr Purves’ first foray into International Education, and it started a series of projects that have lasted ever since. But it also inspired children from Gifford to travel to see Finland with their parents while on holiday over the following years and it culminated in a whole class exchange between the two schools in February and September 2011, when the pupils met their peers and tried out a whole series of activities that they’d never have had the opportunity to try without this link. Indeed, friendships have endured to this day, not only between the two teachers, who still catch up regularly when Mr Purves visits Finland each summer with his family, but also between the pupils of the two link classes, who still remain friends with their peers in Finland via social media. Right from its inception in 2009, it was obvious that Schoolovision was a highly innovative idea. By the time the project was nearing its conclusion in May 2009, it had featured on national TV in more than half of the 30 participating countries! BBC and STV news both featured the project here in Scotland. 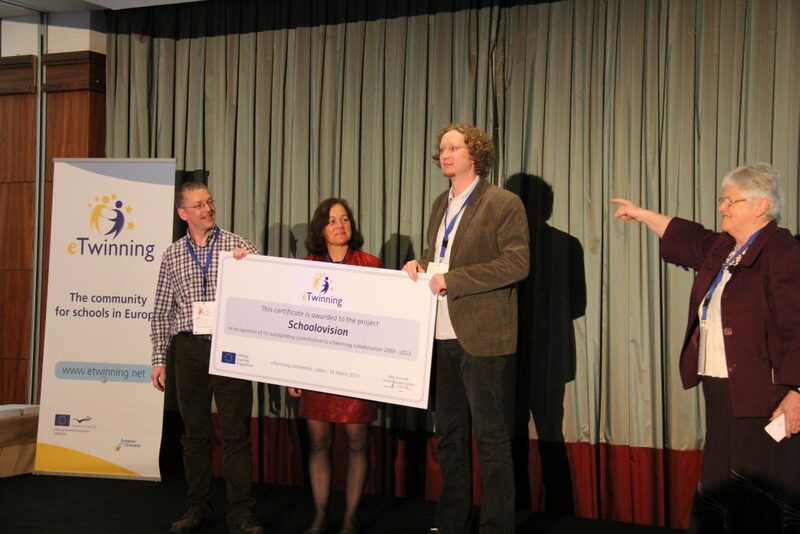 It quickly started winning awards for all its partners from eTwinning itself. The European Quality Label was awarded to all partners who applied for it, and since 2009, it has been awarded with more than 100 separate eTwinning awards! 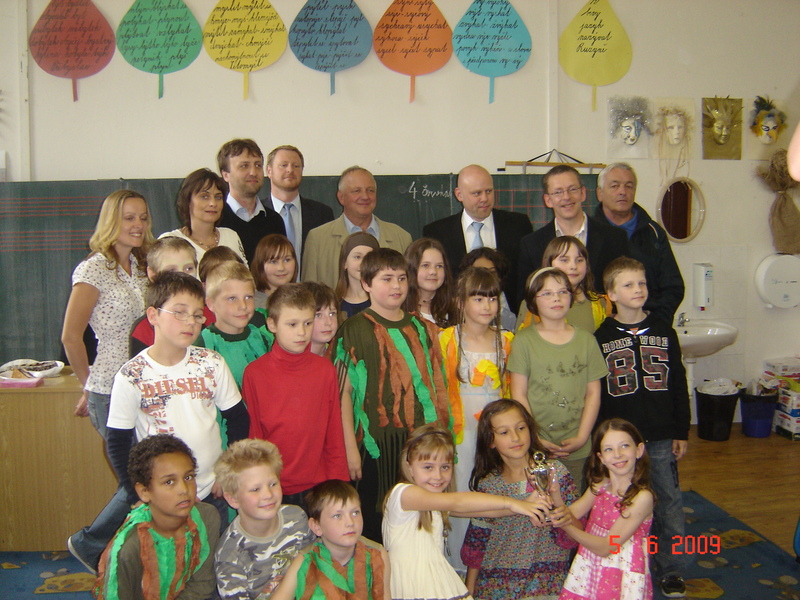 In addition, Mr Purves began to enter the project into education awards across Europe and beyond. Schoolovision won 1st place out of 705 submitted projects at the Global Junior Challenge in Rome, Italy, in October 2009. This fabulous bronze Romulus and Remus trophy was presented to Mr Purves at the event. At the eLearning Awards in Vilnius, Lithuania, in November 2009, Schoolovision won 1st prize, this lovely little trophy, and a €1000 euro prize for Yester Primary School! Our Lithuanian partner kindly attended the event on our behalf and collected the prizes for us! 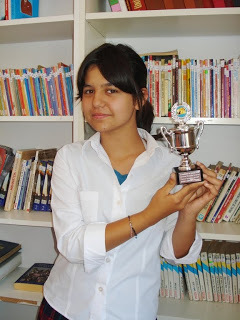 At the 2010 European eTwinning Awards in Seville, Spain, Schoolovision won 1st place overall from all projects entered into the annual awards ceremony. 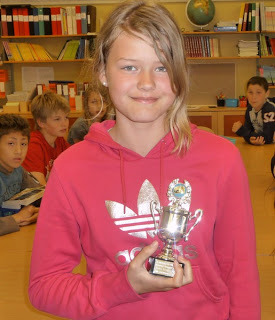 In terms of eTwinning, there is no higher award that can be gained than this! In 2012, Schoolovision won the "Audience Favourite" project at the Medea Awards in Belgium. Our German partner Steffen Toppler travelled to collect the award on behalf of the team. Mr Purves was invited to Lisbon to receive a special award for Schoolovision to mark its 5 year anniversary in March 2013. The award, for "Outstanding Contribution to eTwinning Collaboration" was presented at the European eTwinning Conference. The huge certificate below is displayed in the entry area of our school.